In a statement, Precourt President Dave Greeley said the franchise will continue to search for the “best possible stadium site” – just not at Butler. Some in the community and the neighbors near Butler Shores have valid concerns about a possible stadium location at that site. Based on this feedback, we are no longer exploring this location and are continuing our due diligence on other possible locations in the urban core. As we have stated from the onset of this process, finding the right site for a soccer park is of the utmost importance as we contemplate bringing Major League Soccer (MLS) to Austin. The statement marks a pivot by Precourt, which sent out a release Wednesday that seemed to double-down on Butler Shores. 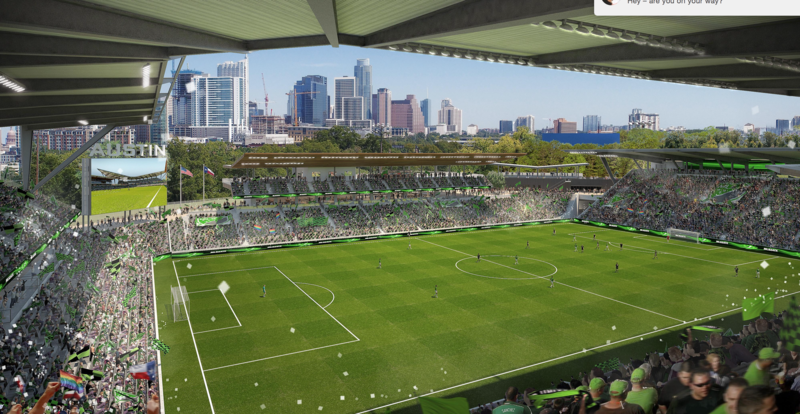 The decision whittles the firm’s shortlist for consideration to host the stadium to two – one at Roy Guerrero Park and another at McKalla Place in North Austin near the Domain. In a draft resolution, she had called on her fellow council members to pull the site from the city’s list of would-be stadium sites, suggesting the city consider the McKalla Place location. "McKalla appears to hold promise in terms of location and accessibility," the resolution reads, "and is worth a deeper examination by staff and stakeholders."